Social reading app and Flipboard-rival Taptu has touched down in Asia, after it launched local apps for Android and iOS in India and, initially, on Android alone in China. The service — which was bought by Mediafed in September — is expected to become available for iOS in China in January; the company is aiming for a cumulative 20 million downloads across both countries within six months. Mediafed and Taptu CEO Ashley Harrison tells me that the company has launched with more than 400 local media in both China and India, and users in both countries will also enjoy access to Taptu’s mix of 10,000 international news, entertainment and other news sources — including TNW, of course. 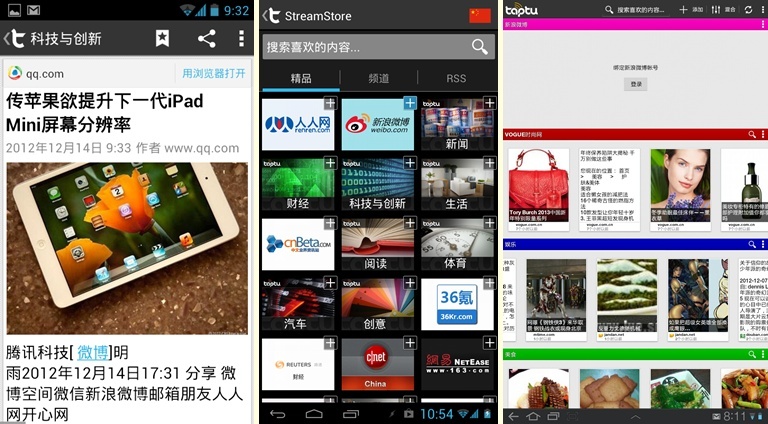 The new apps will be accessible in English, with a Mandarin version available in China. 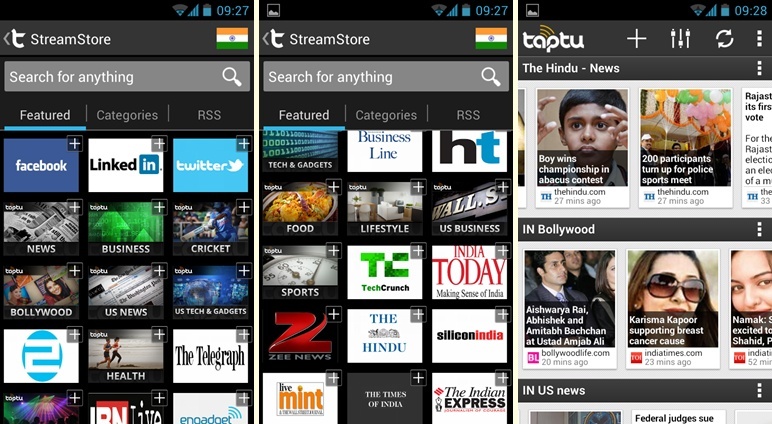 The Indian apps will not be localized, although Taptu partner India Today’s digital subscription stream — downloadable from inside the app — will also be available in Tamil, Hindi, Telugu or Malayalam. Harrison is bullish with his estimates, predicting that the service will pick up 10 million users in India within six months. The target is the same for China once the iOS app is ready there, and the Taptu team is working to secure deals with top social media channels like Renren and Sina Weibo to further boost its offering. For it’s part, Flipboard targeted 5 million downloads during its first year in China. Taptu and Mediafed have together passed 200 million monthly active users, of which 70 million are on mobile and 55 million are based in Asia Pacific. That growth is impressive since it is purely organic through the international service, and it demonstrates the potential that mobile-based media services have in the region. Flipboard landed in China a year ago and its management believes that the country will become its biggest market. Harrison also sees a huge opportunity there, but believes other large markets are equally as significant as China. Flipboard has spoken about the political sensitivities that it faces in China, where the press remains under pressure from the state. Harrison says that neither Mediafed nor Taptu has noticed anything different, perhaps because they aggregate content from publishers and are therefore not direct in the line of sight for censors. “We’ve not noticed any different in speed in China, the content there has been fine,” he tells me. Unlike Flipboard, which is building relationships with publishers for the first time, Taptu has the advantage of prior business with many of the top firms and agencies worldwide through Mediafed. The company — which manages and sells ads and other monetization in RSS and news feeds — has been active in India for three years and China for two years, and that has helped it snag a range of top publishers — including The Times of India, Hindustan Times and India Today, and Reuters China, cnBeta, and Hupu.com — to offer what Harrison calls the largest selection of content for mobile in the two markets. The company isn’t stopping there and Harrison says that it welcomes new content partners to the countries. Taptu has been busy localizing its business, and it has released six localized versions over the last two months alone. Harrison is eyeing further growth in Asia in 2013 and he says that Hong Kong, Malaysia and Singapore are important markets while Indonesia is fast developing. Indeed, its Korean app went live just two weeks ago to prove that point. Given the MediaFed business, the company is focused on driving ads via Taptu, but it also accepts that the requirements are different on mobile. Harrison explains that they have introduced a variety of options for brands, which include advertorials, tiles and promotions via apps. 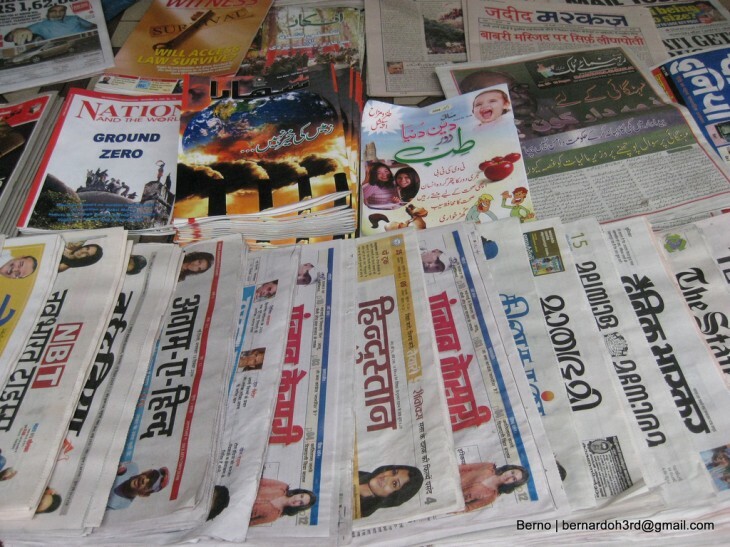 Indeed, in India, users can subscribe to the paid-for digital versions of a number of publications directly from the Taptu app. “We’re experienced at offering news services overseas and we know that you’ve got to get the culture and language right in order to appeal to users,” he says, pointing out that in-feed ads are capped at two per day to avoid ‘blitzing’ users. Harrison says that, head-to-head, iOS produces a better click-rate that Android but, with the company localizing itself in Asia — where Android is dominant — the Android app is hugely important to reaching large numbers of new users. The app is available across a variety of devices — which is key in Asia, where smartphone penetration is comparatively lower than the West — thanks to the HTML5 app.